Austrian valances feature a softly gathered appearance that is created with shirring tape, which forms soft, gathered folds and a scalloped bottom edge. This valance presents a more formal look to window treatments. They appear to be complicated, but by using shirring tape, they are simple to make and install. 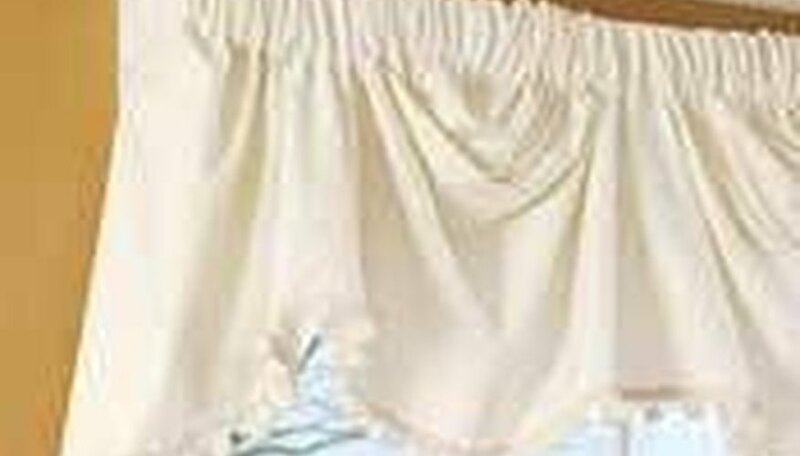 This article describes a valance with a rod pocket, which can be installed on inexpensive curtain rods. The window worked with will measure 48 inches wide by 72 inches high. Cut two widths of fabric at 36 inches long. The finished valance will be 14 inches high when completed. Sew the two pieces together and press the seam. Fold a hem on each side of 1 1/2 inches and fold again 1 1/2 inches, press and pin, then sew. At the bottom of the valance fold a 3-inch hem, press, and fold again. Pin and sew this hem, mitering the corners at the side hem. 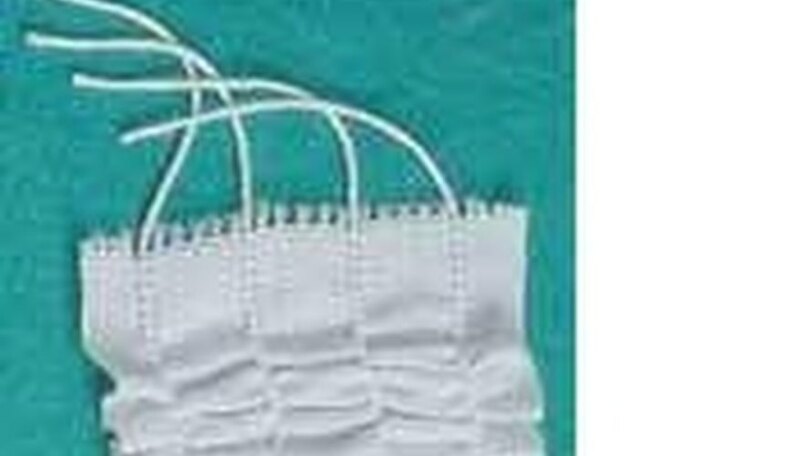 Sew any trim or fringe desired along the bottom of the hem. At top fold under 1/2 inch and press. Fold down 1 1/2 inches, press, pin and stitch. This forms the rod pocket for the top of the valance. Lay the fabric out flat on a table, wrong side up. Find the center and mark. Measure from the center 12 inches and mark with chalk or straight pins. This will be the stitching lines for the three rows of shirring tape. Center the shirring tape on these lines. The shirring tape will start at the edge of the hem and end at the bottom of the rod pocket. Fold under the raw edges of the shirring tape where it meets the hem. Stitch through all layers. Stitch each side of the shirring tape, being careful not to sew through any of the cords. Lay the project out flat on table, and then pull all cords in each row of shirring tape, gathering the fabric to a finished length of 14 inches. Fold under raw edges where the shirring tape meets the bottom of the rod pocket. Tie the pull cords securely together and cut off excess lengths of cord. Stitch across the top of the shirring tape through the tape and cords. 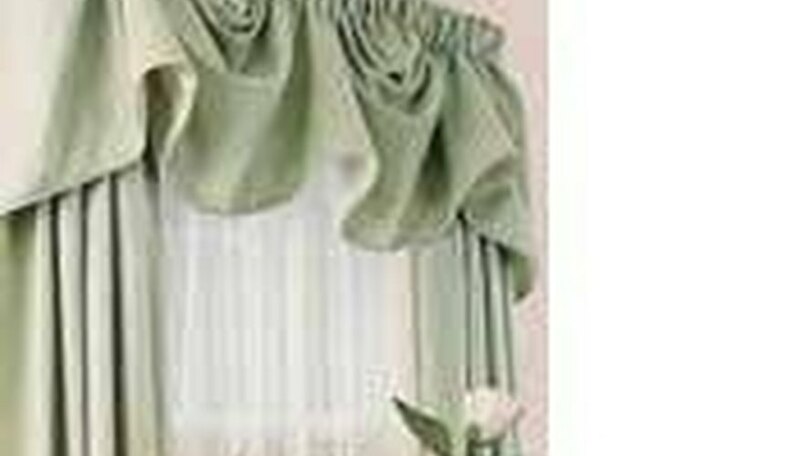 Install the valance on the curtain rod and arrange the folds to form a uniform and pleasing appearance. When this type of valance is installed over matching tie-back curtains, your window will have a well balanced somewhat formal appearance.